Sharing is caring. Just ask this sweet Frenchie. 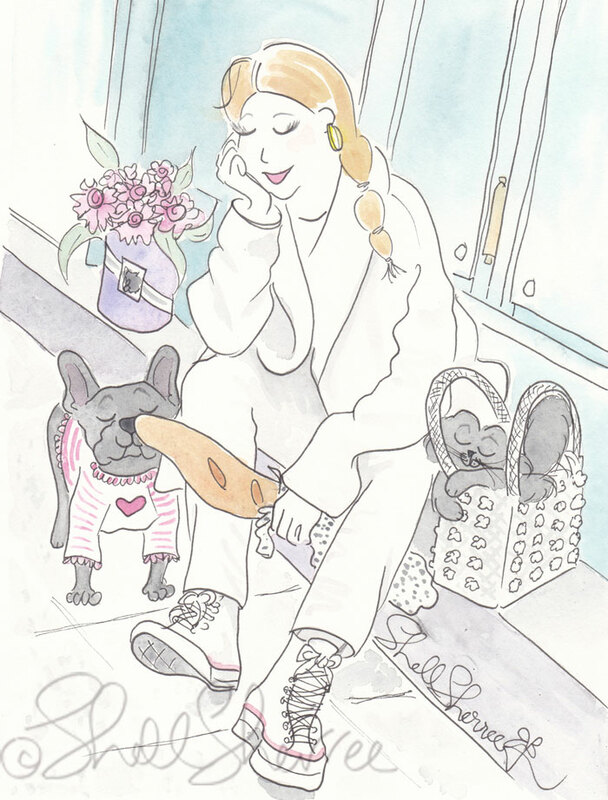 A crusty French baguette is a cheap trick for winning four-legged friends. The two-legged kind usually need at least a hefty chunk of oozy cheese and bottle of Beaujolais thrown into the bargain. Today's #FashionAndFluffballs illustration sees us lounging around in comfy winter whites and those shoes indicate we're getting ready to do a runner.